My whole life my weight has fluctuated for I am a stress eater! As a child I really struggled with my weight & bad eating habits. Jr.High-High school I threw myself into sports and watched the weight drop! I kept the weight off until after college, I moved home and a year later I met my Husband and gained 30 pounds. Once again poor eating habits, becoming comfortable & not exercising had sneaked up on me. In March of 2014 we welcomed our 1st daughter in which I had a very rough pregnancy and developed gestational diabetes. 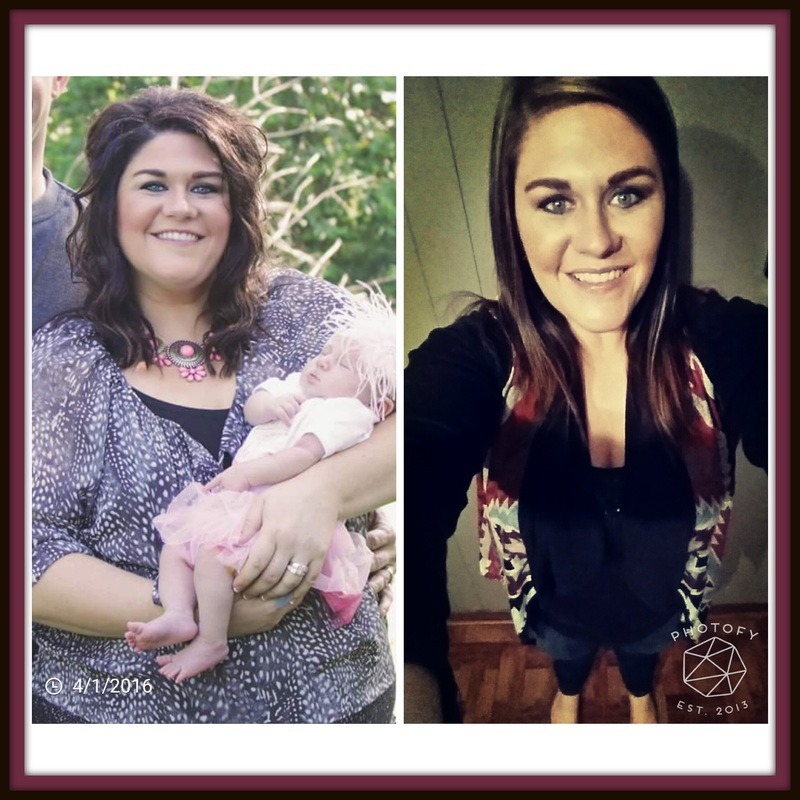 I had gained 21 pounds during my pregnancy and knew I wanted to feel better and become healthier. I joined the biggest loser and over time I lost 40 pounds!!!!! I felt great and my confidence was coming back then we found out we were pregnant with our 2nd daughter. This pregnancy I gained 50 pounds and again developed gestational diabetes. After I had our 2nd baby in August 2015 and a 17 month old running around I knew it was time to get in shape. I started going back to the gym in September and was so anxious and self-conscious I would only go to the gym after 10 pm when I knew hardly anyone was there. Shortly after I joined two more seasons of the Biggest Loser I am so proud and happy to say I've lost 51 pounds!!!!!! There were so many times I hurt and wanted to quit, thinking having two babies at home and with work committing to this journey was too unattainable. I did this for ME, not to be skinny but to be able to keep up with my growing girls and to be a confident example for them! To anyone who thinks they can't do it, YOU CAN! You are so much stronger than you might think you are, you are amazing, you are worth it! I've still got a way to go before I hit my big goal but I'll get there one week at a time & I'm not giving up! There are still times I feel selfish for leaving my girls and going to the gym but it's become "me time" & I need that! I'm so grateful to have EverBody's Gym in our community and to all the positive people I've met through the Biggest Loser Challenges! The time will pass no matter what so make it count!! !